In 1997, Benjamin Nathan entered the Royal New Zealand Yacht Squadron's club house and attacked the America's Cup with a hammer. It was so seriously damaged that it took the silversmiths at Garrards, which had originally manufactured it in 1848, several months to restore it. Now, the America's Cup has been, figuratively speaking, threatened with another hammer blow; one from which it might never recover. On May 14, in a case for contempt brought by GGYC against SNG, New York Supreme Court Judge Kornreich ruled "At this point, in regard to Golden Gate Yacht's application for contempt, I'm directing SNG to hold the race as per the order of the Court of Appeals and Justice Cahn in February as the order required. Should SNG not do so, I am then going to give the other party, Golden Gate, the opportunity to move for contempt." The order she referred to had said "the location of the match shall be in Valencia, Spain or any other location selected by SNG". 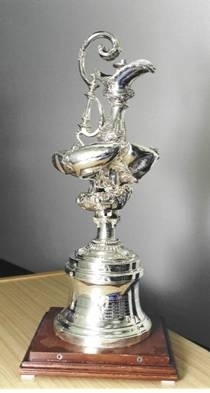 This ruling along with another that informed GGYC that they should produce a Custom House Register (CHR), as soon as possible, seemed to provide the clarification needed to cast aside the final remaining stumbling blocks that might hold up the America's Cup match between Alinghi and BMW Oracle. Immediately after Judge Kornreich's decision, both sides appeared to welcome the opportunity to get out of the courts and onto the water. GGYC/BMW Oracle statement by Tom Ehman: "Today's hearing should end any further delay to the 33rd America's Cup and we can now look forward to some exciting racing in state-of-the-art boats early next year." SNG/Alinghi statement: "Société Nautique de Genève and Alinghi welcome Justice Shirley Kornreich's decision and confirm it will be adhered to." Most of those in the America's Cup world and those who follow the event breathed a collective sigh of relief at the prospect of an exciting Deed of Gift match, next February, followed by a return to the multi-challenger format that has become the traditional event of recent decades. Alas, the relief was short lived for, exactly one week later (Thursday May 21), Tom Ehman and Russell Coutts held a press conference in Valencia, on behalf of GGYC, that sent signals that more court action was likely, probably both before and after any Deed of Gift match. On the morning of that Valencia media briefing, SNG had sent a letter to GGYC, saying the club had been informed that Russell Coutts and Tom Ehman intended to host a press conference that day with the stated purpose of arguing that SNG must choose either Valencia or a Southern Hemisphere venue. The letter asked GGYC and Messrs. Ehman & Coutts to refrain from creating uncertainty that would cause significant material damage to the America's Cup Trust. It was to no avail, the press conference went ahead and the assertion that SNG must either hold the DoG match in Valencia, or the Southern Hemisphere was made. This contradicted statements made by both Ehman and Coutts at a July 2008 press conference with BMW, in Munich. Ehman: "The judge has said the Defender may choose any venue in the world, in either Hemisphere." Coutts: "We think Valencia makes a lot of sense, but the Defender has the flexibility to choose in the Northern or Southern Hemisphere." Another GGYC assertion, at the Valencia press conference, "the Deed does not permit you (Alinghi) to race a two masted yacht, given that our Challenge Certificate describes a single-masted" was equally surprising. Nowhere in the Deed of Gift does it say that the Defender must meet the Challenger in a boat of the same type and nobody knows that better than Tom Ehman, who was Vice President of America's Cup organising Committee when San Diego Yacht Club met Michael Fay's 90 foot monohull with a catamaran. Then, Ehman proclaimed that San Diego could meet Fay in a vessel with two hulls, or two masts and, as every America's Cup amateur historian will tell you, a New York Court proved him right in the Mercury Bay versus San Diego Yacht Club case. Perhaps the biggest surprise of all was delivered by Russell Coutts, when he said that the BOR 90 boat, which everyone - including Judge Kornreich - had assumed to be the yacht described in the GGYC Challenge document was not, in fact, that yacht. Kornreich: "…. looking at the letters, continuously in the past the Golden Gate stated they've already applied to the Navy for a tonnage certificate and also for … CHR, as it was called, that you've already applied for this, and now you've changed your position and said we've taken the vessel apart, even though there have been trials on this vessel, and which everybody assumed was the vessel you were going to race. It seems a little slick that, all of a sudden, this vessel has been taken apart." Kearney (GGYC Attorney): "Can I explain that?" Kornreich: "Yes, I'd like to hear and I'd like to hear why there has been an application and, all of a sudden, there is no application." Kornreich: "An application to the Navy and for the tonnage certificate. It seems to me that perhaps Golden Gate is playing fast and loose." Kearney then launched into an explanation of SNG�s non-recognition of GGYC as Challenger of Record, ending with: "Let me say, we should have completed that, and we should have then gotten the CHR. We should have done all those things they claim during this two-year period of time. We should have done all those things during that period of time when we didn't know we would be the challenger, we had none of the rights and privileges of the challenger." Kornreich�s response was: "I read it, and I understand your argument, but I think the facts refute what you're saying because it looks to me from the facts that Golden Gate, in fact, did do all of that. That they built a multi-million-dollar craft, that they put it to sea, that there were trials, and all of that was done, and that they stated in letters specifically that they were working on getting the CHR. So let me hear from the other side." At no time did Kearney tell Judge Kornreich "We didn't supply the CHR because we were planning on using a different boat. How can Coutts claim that the building of the challenge boat, USA, only commenced in March 2009 when, in December 2007, he stated in a GGYC press release "We are now fully committed to a multihull event in 2008." If the BOR 90 is not the boat described in the GGYC Challenge Certificate, how could BMW Oracle have been committed to a multihull race in 2008? Historical evidence shows that GGYC cannot compete with a boat that was not the boat they first intended to use, without submitting another challenge and only then with the approval of the Defender. This was made clear in 1894, when Lord Dunraven told the New York Yacht Club that he would challenge if he could come over with the fastest British boat, should some other yacht prove to be a better performer than his own. 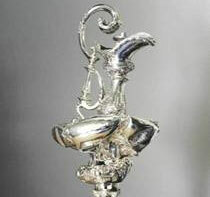 The NYYC replied that if he decided to substitute another vessel for his own, a second challenge would be accepted, on the withdrawal of the original challenge. In his 1901 History of the America's Cup, Lawson described this as "a broad concession". "Second order of business is to get rid of SNG as Trustee - that can be done one of two ways right now - some sort of legal action, or beating them on the water." If the New York Attorney General's Office is persuaded to look into SNG's trusteeship of the George L Schuyler Trust, it is inevitable that ALL issues concerning that trust will be examined. That includes those relating to its legality, which were laid out in this BYM story. That could be the hammer blow that ends the George Schuyler Trust and with it the America's Cup competition. "It's sort of necessary too, as Oracle has shown a stunning inability to beat Alinghi on the water - hopefully the mental part of this will result in a beaten Alinghi team before they get to the line."